Thank you for volunteering for the 12th Annual Step Sisters' Ribbon Run 5k. It is an important event, and we couldn't do it without the selfless help of our volunteers! Brambleton Volunteer locations TBD...stay tuned! Please complete and bring with you when you come to volunteer. Thanks! Help distribute event promotional materials to area businesses. Great for students in need of community service hours. Postcards are available immediately. Areas for distribution include: Brambleton Town Center merchants/tenants. 02/25/2019 (Mon) Job to be completed by March 10th. Great position for someone who also wants to participate in the run/walk! Check in registered runners and distribute remaining packets and race day registration. Work with Lead volunteer to help sponsors in showcase area with any needs they may have. Check-in no later than 7:15 a.m. Direct and cheer on runners along the course. Specific location assignments will be communicated at a later time. Please indicate here if you have a preferred location (no guarantees). Must be 15 or older. 04/27/2019 (Sat) Along Course. Check-in at "Race Central" (22895 Brambleton Plaza #100, Brambleton, VA 20148) by 7:15 a.m. for post assignment. Set up main event area; Must be willing and able to lift heavy objects. Great opportunity for Boy/Girl Scouts or groups. If you are signing up for a group, please indicate the number of volunteers in your group. 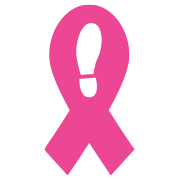 I'm a breast cancer patient and currently undergoing treatment. I would love to volunteer and give back. Provide cheerleaders in pre-determined "cheer zones" along course. Perfect opportunity for your group! Provide cheerleaders in pre-determined "cheer zones" along course. Perfect opportunity for your group! Group (Boy/Girl Scouts, corporate, club, etc.) preferred. Direct children along the course and distribute ribbons to finishers. Hand bottled water to finishers as they cross. Organize prizes before awards program and assist with distribution at podium (near fountains in front of theaters)..
Report to "Race Central" for assignment. A great opportunity for anyone wanting to participate in the race AND volunteer on race day.